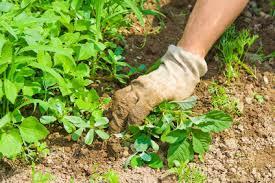 When it comes to gardening, a well kept lawn can make or break it. Although it takes much effort to keep a lawn looking great, in my opinion it is definitely worth it. It not only improves the whole look of the garden, but also the house that it envelopes. There are many things a lawn requires to look lush and healthy, but a good haircut never goes astray. By the way, when I see the picture of the lawn above I just want to get my mower out! 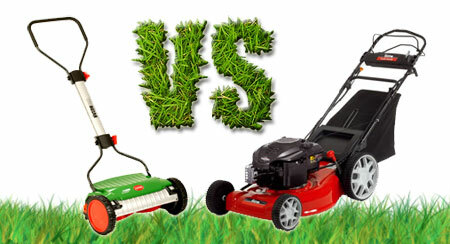 Did you know that having a great mower makes a big difference when it comes to the health of your lawn? A high quality mower will cut each blade of grass finer encouraging a healthier lawn. But what should you look for when purchasing a mower? My choice is petrol. Why? I feel they are far superior to battery operated models. They seem provide more cutting power, and you don’t have to ever worry about charging batteries. Yes there is perhaps more moving parts and the point of requiring higher maintenance, but have you ever wondered why you never see professional contractors with battery operated gear? Rotary mowers feature a spinning blade which cuts each blade of grass by force. This results in a tearing motion in comparison to a cylinder mower which actually slices each blade of grass without pulling it. Now whilst it is true that a cylinder mower comes out on top every time, it doesn’t mean that a cylinder mower is the best mower for you. Cylinder mowers are very expensive, and can be difficult to use as they require mastering a clutch. You can still make a great lawn with a high quality rotary mower, so don’t feel you need to spend thousands for a cylinder cutter. A higher carrying capacity simply means less empties per linear meter. The more lawn the bin can carry means less less trips to the wheelie bin. Larger carriers can get heavy as they fill up, and may not be required unless you cut your lawn infrequently or have a large lawn area. This is simple. Engine sizes are rated in cubic centimetres, or for those who may not be familiar with this it is otherwise known as cc’s. Walked mowers tend to range in size from about 130-190 cc’s. Generally speaking, the more cc’s a mower has the more power it will have to cut through lawn. You may want to choose a mower on the higher end of the spectrum if you are planning on cutting through weeds, sticks and want a mulching purpose. Consider consulting a comprehensive buying guide for more information. If you have had any great experiences with any particular lawn mowers, leave a comment to let others (and myself) know!